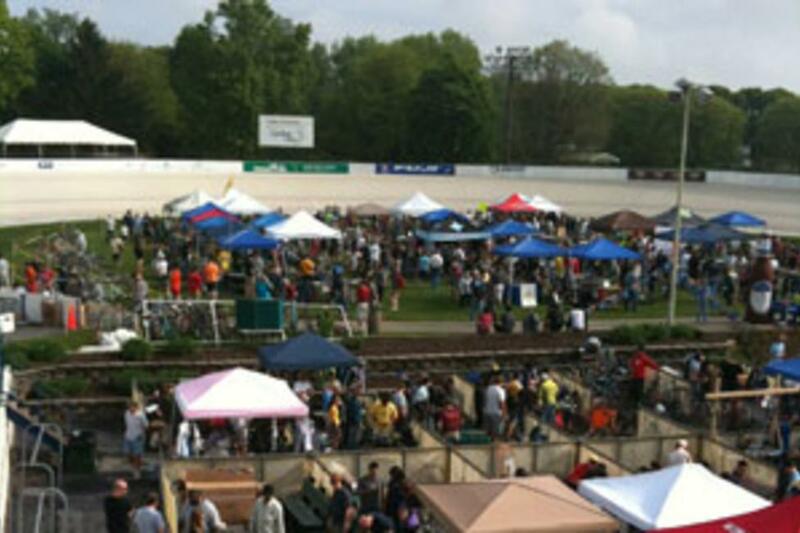 On the morning of Cinco de Mayo, I attended VeloFest at the Valley Preferred Cycling Center. It was and most likely will remain the premier cycling flea market on the east coast. And it&apos;s right here on the west side of Lehigh Valley in Trexlertown, Pa. I showed up 15 minutes before the gates opened and the line was already snaking through the parking lots. There was the smell of someone cooking breakfast on a grill, the smell of bacon is just good. Anyway, there&apos;s no shock at the line or interest, as I mentioned before the premier cycling flea market on the east coast. This is a big deal. It&apos;s the only place where you can buy last year&apos;s must have cycling tech and gear from up and coming professional cyclists, looking to upgrade to this year&apos;s must have cycling tech and gear. It&apos;s also a place where you can see old school bikes and gear, right along new carbon fiber bikes, that weigh less than your smartphone! There was cold beer available, but being as it wasn&apos;t yet mid-morning, I opted for a bacon, egg and cheese sandwich with coffee. Did I purchase anything? Well sure, you can&apos;t really walk in and walk out empty handed. I picked up a few cycling jersey&apos;s for myself and for others, it&apos;s easy gift giving (it doesn&apos;t have to be November to be thinking about gift giving). Did I get myself a bike? No, I did not. I think it stems from the fact that I have a specific kind of bike in mind, and every time I see that bike, even at an extreme discount, it&apos;s out of my price range. Anyway, it was a great time and judging from the crowd, I wasn&apos;t the only one who had a great time, either. The 2012 season at our concrete crater has gotten off to a wet start with two Tuesday nights having been postponed already, but we&apos;re one month away from the first Friday night of the season on June, 15th for the US Sprint Grand Prix. I&apos;ll be there on opening night, just like I was last year, will you?